Journalism students from the University of East London (UEL) have collaborated with charity Samosa Media to produce a ground-breaking new documentary film examining the hazards inherent in the Government’s anti-radicalisation strategy. The film – The Prevent Programme: A Conversation – highlights a range of views on the ‘Prevent’ anti-terrorism strategy, touching on issues such as extremism, gender equality, terrorism, Islamophobia, UK foreign policy, Palestine and freedom of speech. 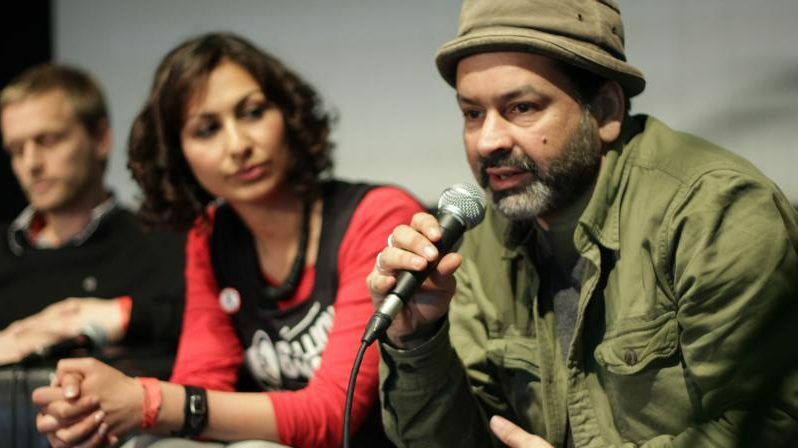 It includes strong criticism of the programme by Samosa Media director Anwar Akhtar and John Pandit, of the band Asian Dub Foundation, as well as concerns about religious and gender segregation in society from Pragna Patel, of the women’s group Southall Black Sisters. There is also a contribution from Prevent supporter Emma Fox, of the Henry Jackson Society, community worker Kadra Buchanan and Antonio Perra and Aman Ali, from the Muslim Engagement & Development network (Mend). The film was directed by UEL PhD fellow Rishabh Shrivastav and produced by Samosa Media in collaboration with the UEL’s journalism students. Simon Miles, programme leader of the Journalism course, said, “The way in which the Government approaches anti-terrorism has major implications for free speech and community cohesion. Samosa Media director Anwar Akhtar said, “It was a challenging, difficult film to make given the hurt, trauma, loss caused by the terror attacks in London and Manchester in the last 12 months. “It is vital to allow space for the many strong and opposing views that surround the Prevent programme to be aired. The film builds on an arts and mentoring partnership between UEL’s BA (Hons) Journalism course and Samosa Media, which last year also oversaw the production of two films. One related to the 70th anniversary of the partition of India and the other looked at Britain’s future ‘partition’ from the European Union through Brexit.